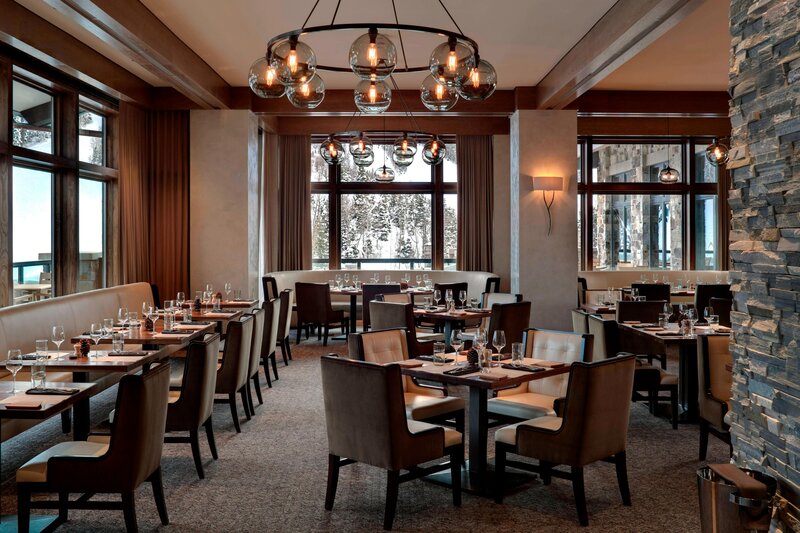 The St. Regis Deer Valley offers diverse dining experiences to suit every personal preference, from the intimacy of the classic St. Regis Bar and the Wine Vault to splendid steak and striking mountain views at J&G Grill. For those craving privacy during their Park City stay, we offer 24-hour in-room dining; savor seasonal, locally sourced restaurant fare in your accommodations, or allow us to serve your meal on your private balcony. Chef de Cuisine Rachel Wiener oversees menu planning for the J&G Grill and the St. Regis Lounge, as well as award-winning wine dinners. Chef Wiener incorporates the principles of “slow food” and local “farm to table” cooking in her restaurant menus at every opportunity. Conceived by famed chef and restaurateur Jean-Georges Vongerichten, J&G Grill serves the finest quality meat and seafood in a warm, welcoming atmosphere. Complement your meal with stunning mountain views. 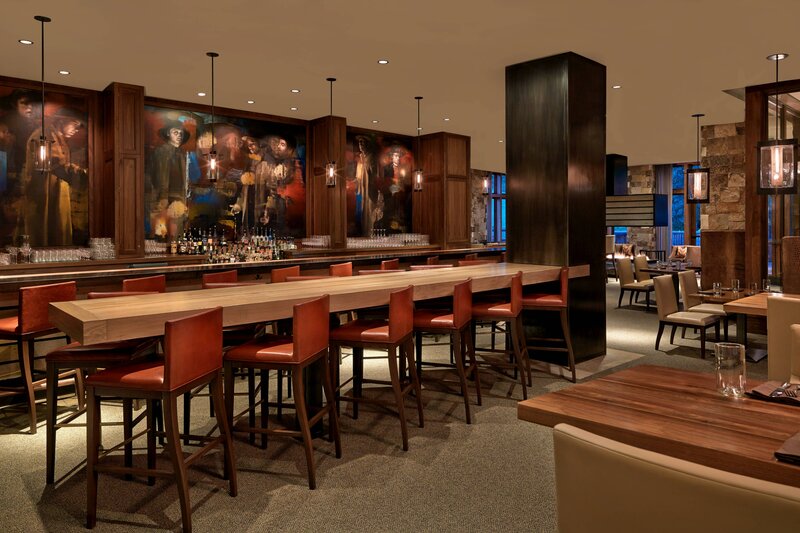 In keeping with St. Regis tradition, our sophisticated mountain bar/lounge showcases a commissioned triptych mural; designed by artist Phillip Buller, it represents the history of Park City as a silver mining town. 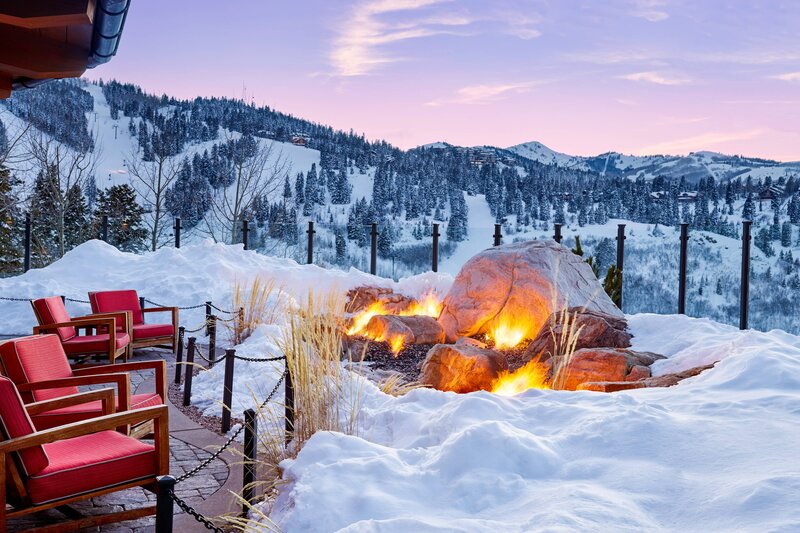 Gaze out over Deer Valley and Deer Hollow Run on our Mountain Terrace, an exquisite setting for cocktails, an al fresco lunch or a romantic dinner. This seasonal seafood restaurant offers an extensive all-you-can-eat buffet of crab legs, oysters, sushi and more. The Brass Tag&apos;s menu features Deer Valley-inspired brick oven cuisine including fresh seafood skillets, seared meats, locally sourced produce and more. This restaurant offers seasonal sushi, classic Japanese plates and sake served in a playful and airy setting. This easygoing eatery doles out Spanish tapas, house cocktails, wine and beer in a rustic atmosphere.